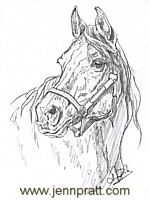 What’s on the table today | Jennifer Pratt Equine Artist. Aside from working on my ‘Canadian Bred’ artwork series‘, I have a few commissions on the go. It breaks up the day from working at the drafting table to the easel. 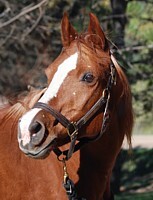 The latest, is an older pony, aptly named Freckles. I photographed her last fall, on a beautiful sunny day. She has a lot of spots, so I was sure to take many references of all of them. This is the study sketch of that image, which I have sent to the client for approval. I am currently working on the final, full colour artwork of this layout. There is another commission on the table too…but it is a surprize for the owner..sorry can’t spill the beans folks 🙂 It’s a successful jumper..okay, that’s all I can tell you..